Welcome back to part 2 of accessories with 7 Charming Sisters! 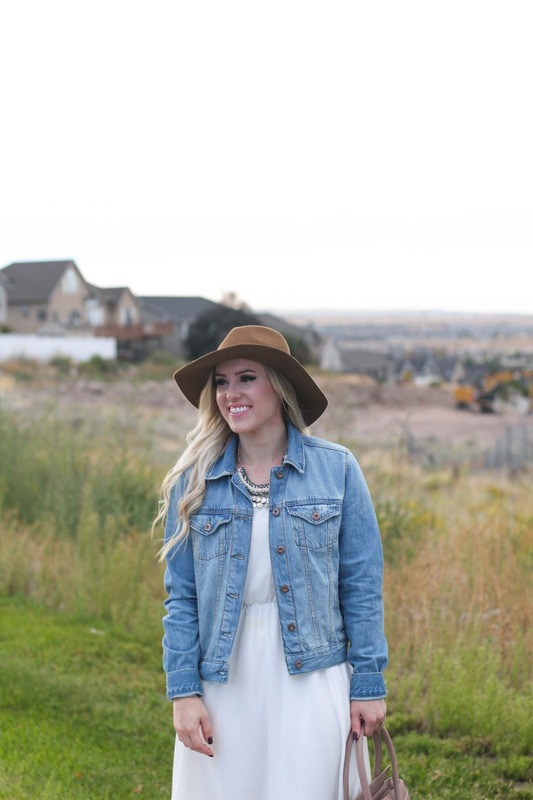 This dress and this denim jacket are probably two of the biggest staple pieces in my closet. 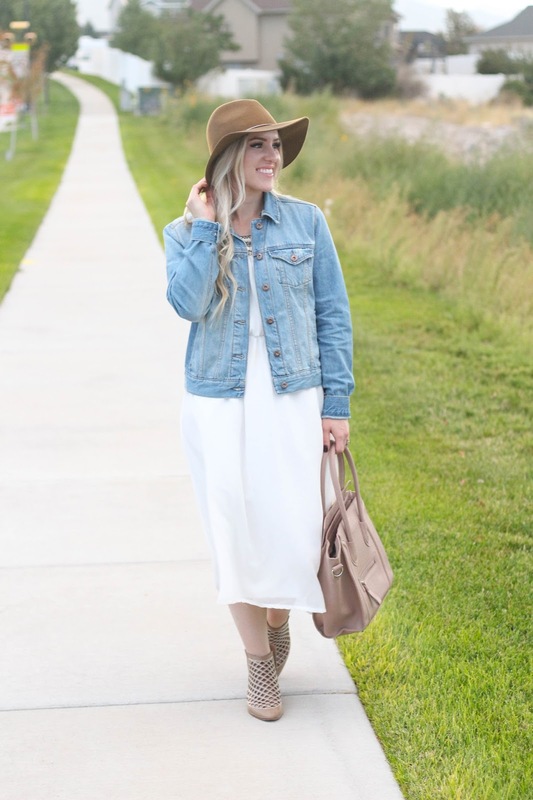 They are so versatile and can we worn in any season. They are perfect paired together to transition into fall. 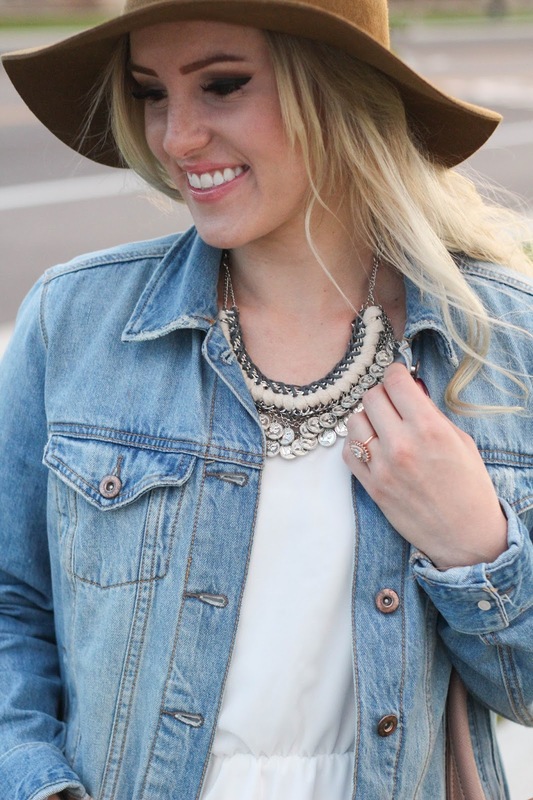 The only thing that makes it even better is this statement necklace from 7 Charming Sisters. It's the best necklace to spice up any outfit. 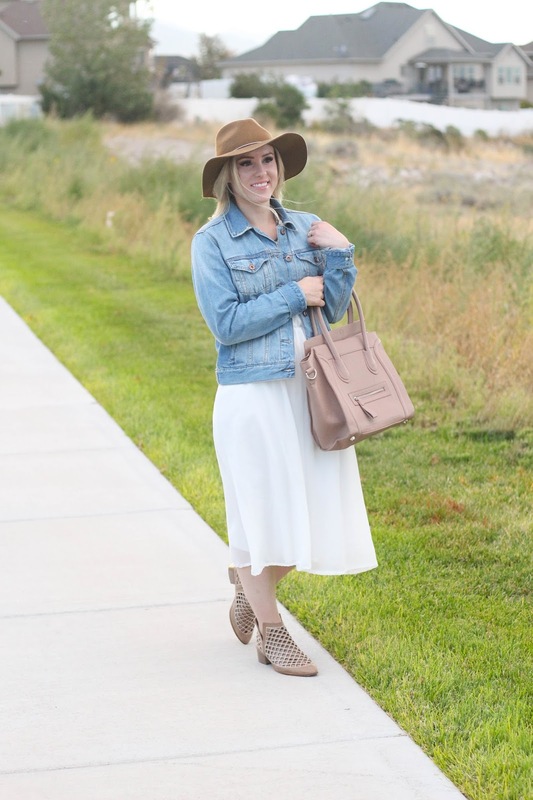 I know I have raved about these knock off Jeffrey Campbell booties from Mindy Mae's Market, but they are so darn comfortable, and seriously so cute. $50 dollars well spent. Wearing these boots have been the start to fall. I have already started burning my pumpkin candles and I can't wait for all things pumpkin. Typical white girl I know, but I can't help myself. 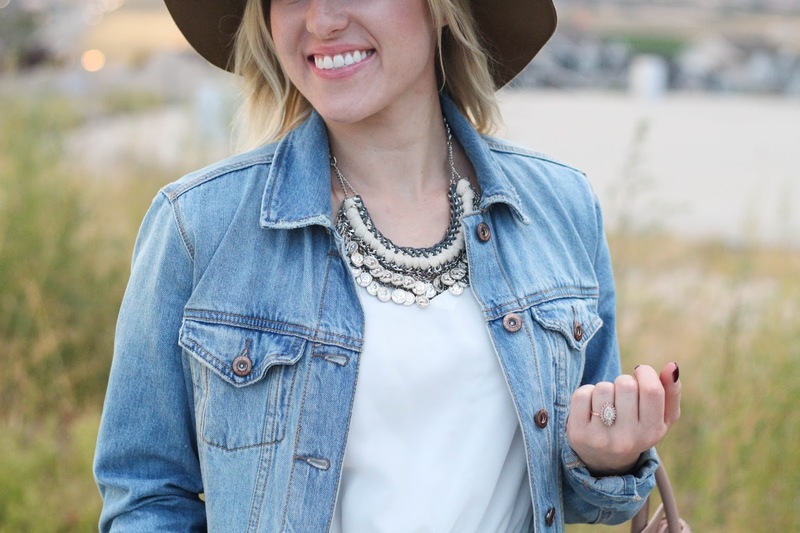 Don't forget to hop on over to 7 Charming Sisters to check out all their amazing pieces as well!